Travel, Tourism, and Aviation students at Nottingham College have been finding out about careers, from the professionals both at home and abroad. 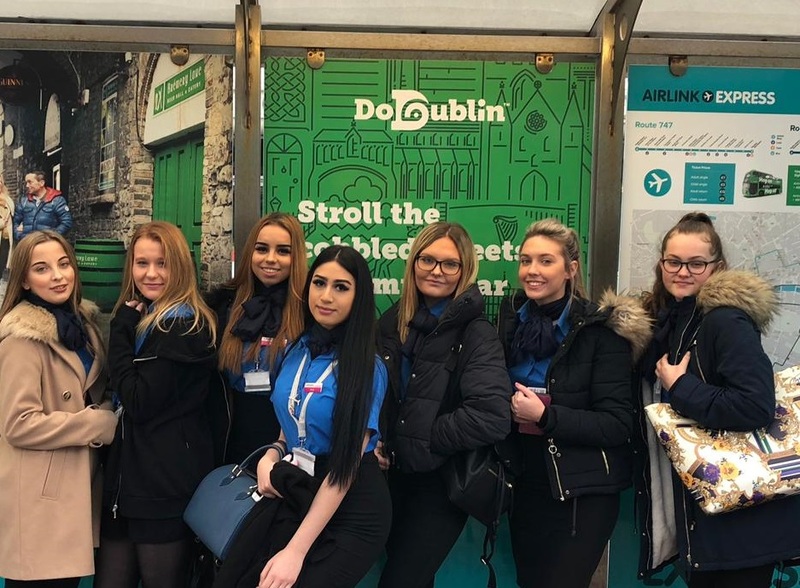 After a group of Travel and Tourism students attended a specialist travel show at Olympia in London, meeting professionals from around the world, 38 Aviation students then took to the skies and visited Ireland. The Aviation students began their journey at East Midlands airport, flying to Dublin and then listening to guest speakers at Dublin airport. Staff at Dublin airport handle millions of passengers every year and deal with up to 740 aeroplane movements every day. The students got to find out about current aviation procedures and passenger flow at the busy airport. During the day they also got a whistle-stop tour of Dublin, to find out more about the city.